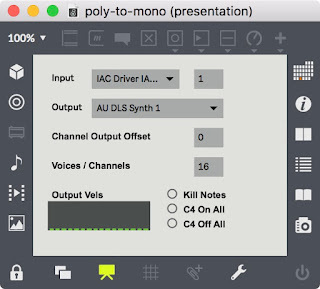 This patch will distribute a single channel of MIDI data to two or more MIDI channels based on polyphonic note order. 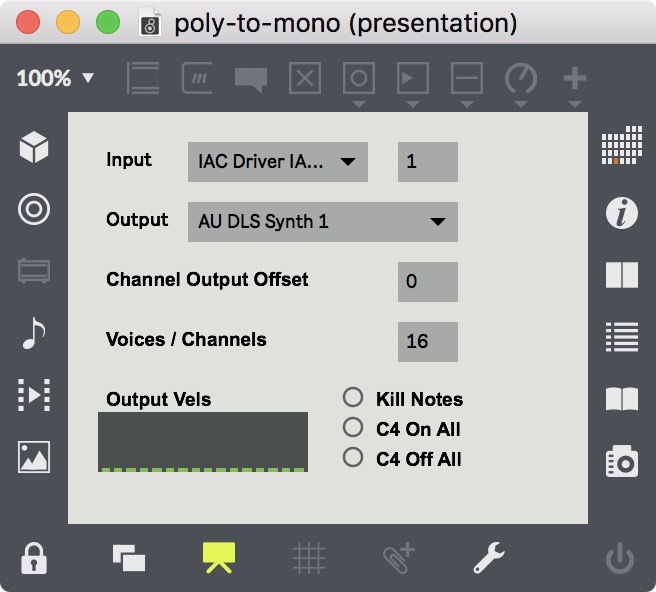 Options include channel offset, number of voices, sending a C4 to all outputs. Pitch bend is also sent.